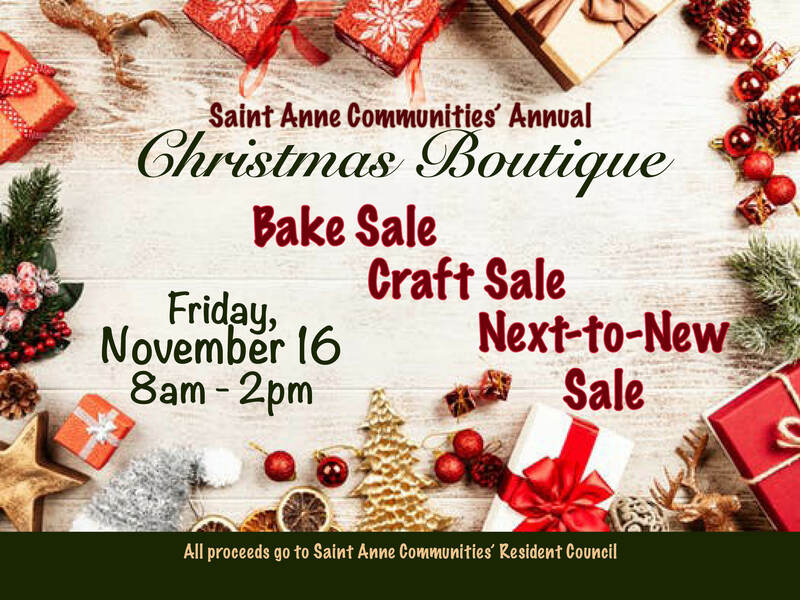 Our Resident Council will be selling yummy baked goodies, next-to-new items, and the fruits of their creative outlets between 8am and 2pm on Friday, November 16th in our Main Lobby (just inside Door #1). Come finish up your Christmas shopping (or get started, as the case may be) and enjoy the friendly fellowship of our Saint Anne Family. If we run out of treats at the Bake Sale, feel free to follow your nose to the Randallia Roast, our in-house Coffee Shop for more delicious options (just inside of Door #13).